You cannot avoid the fact that ovens get dirty. Unless, of course, you have a self-cleaning oven. Let’s be honest for a moment, not many of us have those high priced and expensive self-cleaning ovens. That is why we have to look for best oven cleansers to keep our oven clean. Before you try using any of the products, check your appliance manufacturer cautions against using cleaning products. Some might harm and void the warranty. With that in mind, whether you bake, broil, roast, or anything, your oven does a lot of work in the kitchen. And during that work, your oven gets dirty. The longer you leave it dirty, the harder is for you to clean it. Even the self-cleaning ovens have limits. They cannot do everything. When it is your time to clean the grime, you start asking, what is the best oven cleaning product I can get? Well, luckily for you, we’ve rounded up a couple of options. All of those delicious meals that come out of the oven leave a mess behind. And now, thanks to some of these products, you can easily clean it. How do oven cleaners work? Oven cleaners are packed with strong oils and chemicals. When left for a few hours or overnight, they can break down baked-on bits of food and stains on the inside of the oven. After that, just a quick wipe will lift them off. How to use oven cleaners? The first question people ask about using oven cleaners is whether they need to worry about toxic chemicals. Well, chemical cleaners are great for degreasing and shifting baked-in grime. But they are also corrosive by nature. One of the most common ingredients is sodium hydroxide, which is also known as caustic soda. This ingredient can burn your skin, damage your lungs and nostrils, and irritate your eyes. Therefore, it is recommended that you prevent damage to yourself. To do that, put on some rubber gloves for starters. Is a steam cleaner better? Nowadays, there are also steam cleaners that claim that they can be used for oven cleaning. Now, that might work if your oven is just lightly soiled. But if your oven is heavily stained, and there is a lot of baked-in or caked-in grime, a steam cleaner will not make much of a difference. To be honest, it will not leave the slightest impression. Instead, you might end up with an even bigger mess, as the steam cleaner will leave a pile of wet tea towels behind. As we mentioned, there are also self-cleaning ovens. There are three types of self-cleaning ovens, including pyrotylic, catalytic, and steam. You have to check which type you have before applying any product, as you can damage the coating in the oven. Catalytic ovens have interior linings coated in an absorbent material. The material looks like fine sandpaper, and there are flecks of white crystal type material. To clean it, just empty the oven, and run it at 220 C for 30 minutes. Any grease trapped in the lining will be burnt away. In most cases, however, the catalytic lining is installed only on the side walls, so you still need to clean the oven and the rear. Pyrolitic ovens feature special timed cleaning program that heats the empty oven to around 500 C. All of the grease and baked-on remainings are burnt to ash, and you then just wipe away once it is cooled. It is the most fuss-free way to keep your oven clean. However, this process takes up to four hours to complete and generates a lot of toxic smoke in the process. That is why most of these ovens come with a catalytic converter to eradicate emissions. Steam ovens work by circulating super-hot steam to break down grease and stains. The process is a lot quicker and takes about one hour to complete. The downside is it is not as effective. Can you use oven cleaners on countertops? A lot of people make the mistake of using oven cleaning products on their countertop. While it might seem like the material is similar, and a cleaner can clean any stain, it is not recommended. Most oven cleaning products contain harsh and strong chemicals that can cause damage to your countertop. Check the packaging to see if they are safe to use. What to look in an oven cleaning product? When you are looking for the best oven cleaners, there are a couple of things you should pay close attention to. Here are some features that make a good cleaning product great. When you look at the price of this cleaner at first, you might think it is too expensive. But when you look at all the things you get, the price is rather normal. 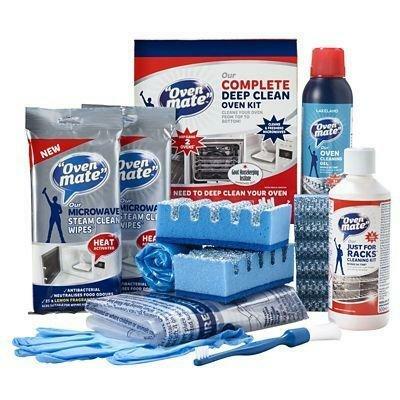 This is yours do it all complete kit for cleaning your oven. 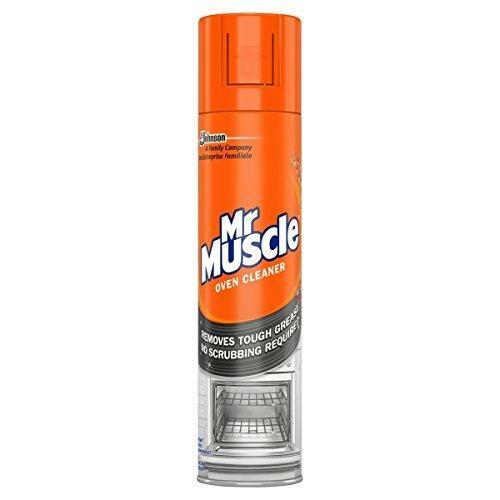 The system includes a 500ml bottle of oven gel, a bottle of rack-cleaning solution, microwave steam clean wipes, long rubber gloves, gel applicator brush, and two ridged scourers. In other words, everything you need to clean your oven, even safety things like gloves and brush. The gel is enough for two cleaning sessions. All you have to do is apply with no splashing, and then follow the instructions on how to spread it. The best part is, there is no bad smell. For cleaning the racks, you have to put them in the supplied plastic bags, and then just pour in the solution. Swish for a while, seal the bags and go make yourself a cup of coffee or tea. In most cases, you might not need to scrub them, but if needed, you get a supplied scourer for that. Wipe the gel from the inside, and your oven is ready for another baking session. This oven cleaner will not only get off cooking stains but also extend the life of your oven. How it does that? Well, by removing typical and burnt-on messes left behind after cooking and baking. The best part about the cleanser is that there are no fumes left behind. We all hate those fumes and the smell we have to get rid of after cleaning the oven. Well, that is not the case with this cleaner. 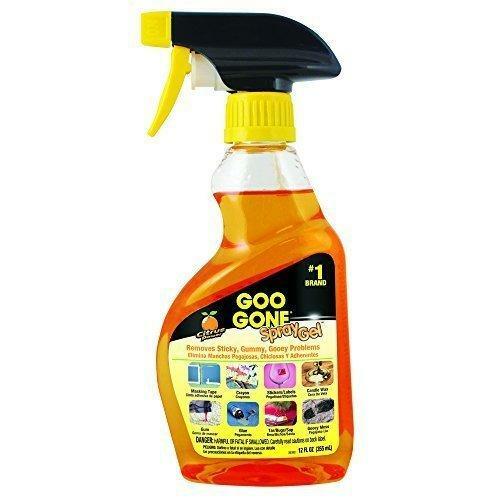 Perfect for heavy spills and stains from food that often get baked onto cooking surfaces. With a unique formula, this cleanser can break down the dried mess and make it easy for you to scrub away. What is left is a clean surface. Some reviewers even say their oven looks as good as new, even though they have not cleaned it for more than a year. If you are looking for a budget cleaning solution that does get the job done, look no further. This is one of the cheapest, yet efficient oven cleaners you can buy. The quality will surprise you, as Mr. Muscle can clean a seriously dirty oven. Only downside is that cleaning can get a little bit messy, and you have to wear gloves and use old clothing. The smell can also be too much for some people to handle, and you’ll have to leave the room once you apply it. For larger ovens, you might need more than one pack. 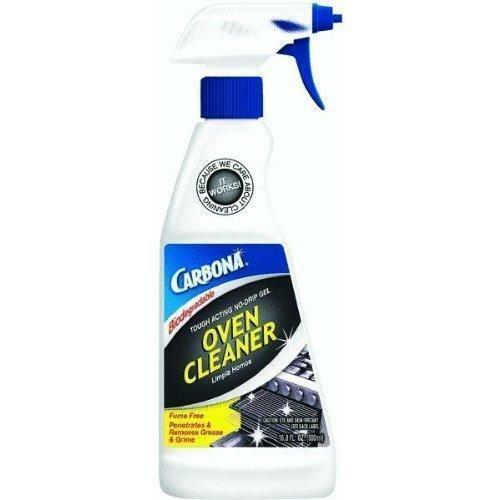 If you are looking for a versatile cleaner that can do a little bit of everything, the Carbona oven cleaner is your choice. It might not be a superb oven cleaner, but it can work in multiple different ways. The fume-free gel penetrates and removes grease. Speaking of versatility, you can even use it for cleaning microwave interiors. The cleaner comes with a trigger sprayer that will allow you precise application. For racks, you need to soak them in the cleaner overnight. We talked previously that some people want a citrusy smell when they are cleaning their oven. This gives a bit of a natural feeling. All you have to do is spray the solution, wait for three to five minutes, and then wipe away grease with a sponge or a wet cloth. If you have tough and baked-on-food, allow the solution for work for 30 to 60 minutes. Can be used in multiple surfaces, including stainless steel ovens, indoor and outdoor grills, oven doors, broiler pans, oven cooking racks, pots and pans, and much more. When you are using oven cleaning products that are packed with chemicals, it is a good idea that you take some precautions and safety measurements. No matter which product you choose, this is the step by step guide how to clean your oven. The best way to clean your oven is by making sure you prevent dirt in the first place. Here are some tips on how you can reduce the dirt in your oven.